Telegraph: "Schools are removing analogue clocks from exam halls as teenagers 'cannot tell the time'". USA Today: "Dark chocolate can improve stress, mood, memory and immunity, studies claim". Bill LaPlante and Katharyn White: "Five myths about artificial intelligence"
Getting Bit By Both A Bear And A Shark? Pretty high on my list of things I don't aspire to: To be bitten by a shark in Hawaii and by a bear in Colorado. "The Battle of New York: An 'Avengers' Oral History"
NYT: "What Lies Beneath Jupiter’s Great Red Spot?" Rand Corporation: "How Artificial Intelligence Could Increase the Risk of Nuclear War"
"Building a better Kindle (or, Why Buttons Matter)"
Using artificial intelligence, the scientists at Northwestern University have already been able to discover three new blends of ingredients that form metallic glass–and AI does it 200 times faster than the scientists themselves could have done. The results mean that new alloys could reach the market decades before they normally would thanks to AI. This, in turn, could have a massive impact on the industrial and structural design of objects large and small, from smartphones to skyscrapers. "Computer system transcribes words users 'speak silently'"
"Framed for Murder By His Own DNA"
"Robot successfully assembles an Ikea chair"
"Was There a Civilization On Earth Before Humans?" No superintelligent AI is going to bother with a task that is harder than hacking its reward function. In other words, Bach imagines that Bostrom’s hypothetical paperclip-making AI would foresee the fantastically difficult and time-consuming task of turning everything in the universe into paperclips and opt to self-medicate itself into no longer wanting or caring about making paperclips, instead doing whatever the AI equivalent is of sitting around on the beach all day sipping piña coladas, a la The Big Lebowski’s The Dude. 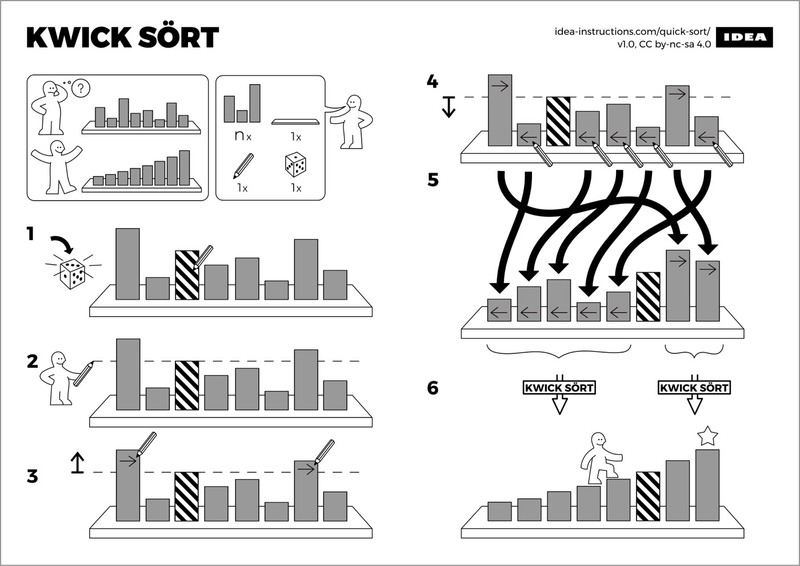 "Ikea-style instructions for programming algorithms". Admin note: Posting may be lighter than usual the rest of this week due to external obligations. "The Secret Language of Ships"
"Facial recognition tech catches fugitive in huge crowd at Jacky Cheung Cantopop concert in China"
[R]esearchers have been trying for decades to make an artificial heart that can be permanently implanted. But building one that imitates a real heart over a long period of time without breaking or causing infections or blood clots is incredibly difficult. One problem is that the more parts there are, the more things could go wrong. "Gmail will be updated soon and I’m worried"
"Space Wars Will Look Nothing Like Star Wars"
"How a Typo Helped End World War II". Direct link to Florence Schechter's Twitter thread explanation. "A history of machine translation from the Cold War to deep learning"
"A New AI 'Journalist' Is Rewriting the News to Remove Bias". Of course, what counts as "biased" or "unbiased" is itself in the eye of the beholder. "Mood disorders could be diagnosed by the way you fiddle with your phone"
"How CRISPR works, explained in two minutes"
"Inside Amazon's $250M Lord of the Rings Deal: "It's Very Much a Creature of the Times""
"A four-eyed lizard walked the earth nearly 50 million years ago"
"Satellite images taken at an angle". Alex Knapp: "This Startup's Robotic Truck Drove On The Highway With No Human On Board"
Microsoft has made its internal training courses for AI available to the public. "The Rise in Self-Proclaimed Time Travelers". I'd find them a lot more believable if they correctly predicted the next 5 Super Bowl winners. "Yes, Cops Are Now Opening iPhones With Dead People's Fingerprints". As the article notes, dead people's faces are the next logical step with FaceID. "Woman takes Ancestry.com DNA test, learns her real dad is her mom's doctor". 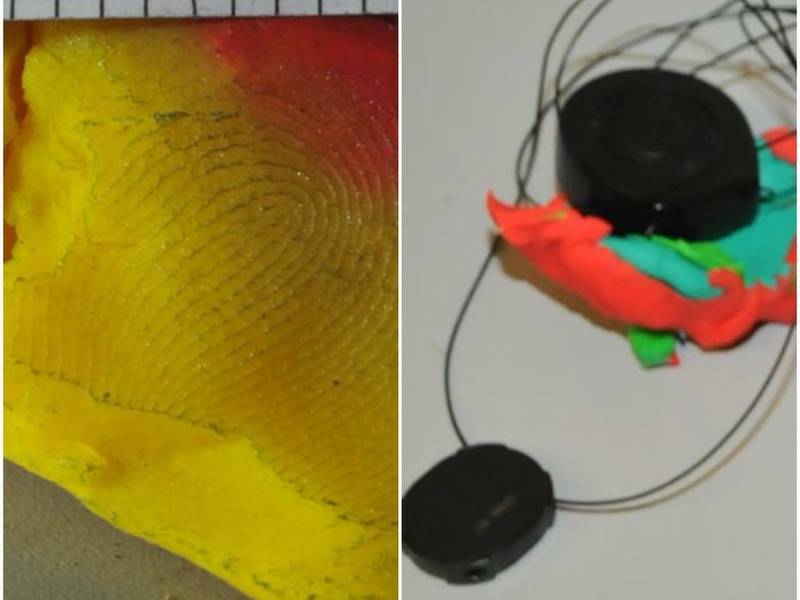 "Yes, even your eyeballs can get sunburned"
Shoplifter uses Play-Doh to cover up security camera lens, leaves perfectly pressed fingerprint behind. "A single high school in India has produced the CEOs of Microsoft, Adobe, and Mastercard"
"U.S. to Seek Social Media Details From All Visa Applicants"
"How to download a copy of everything Google knows about you"
"11 Tell-Tale Signs Your Accounts and Devices Have Been Hacked"
"Scientists have spent 60 years agonizing over how our knuckles crack"
Wired: "The Paradox of Universal Basic Income"
In at least four investigations last year – cases of murder, sexual battery and even possible arson at the massive downtown fire in March 2017 – Raleigh police used search warrants to demand Google accounts not of specific suspects, but from any mobile devices that veered too close to the scene of a crime, according to a WRAL News review of court records.